Cajón drums are wood drums native to South America with deeper roots in the Africa. 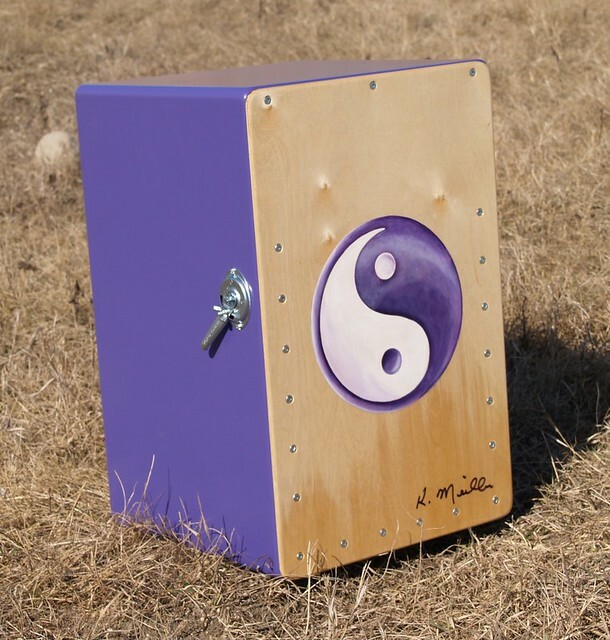 The cajon is a wood rectangular prism, with two thin faces. One of the thin sides, usually the back, has a large hole to allow sound to travel out. The front face can be struck with the hand, mallets or brushes to create different sounds. Construction couldn’t be simpler. 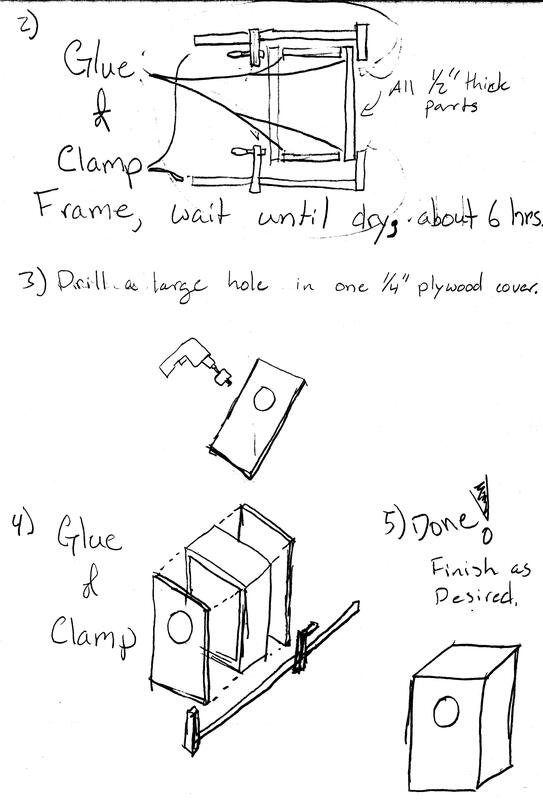 Cut out four sides of a box using whatever means you have from a sheet of plywood. I use a table saw now, but my students and I have used jig saws with guides, circular saws with guides, even a handsaws. I often make a long rip (cutting out the depth of the box) cut first. I then cross-cut the piece into its four components in order to end up with four pieces which form a square, rectangular frame. I then cut a thin rectangle from a piece of thin (1/4” or thinner) plywood. I glue the four thick sides together into a frame, wait a day, then glue the top and bottom on, weighted down with books or clamped to the workbench. Lastly, drill a large hole using a drill press or hand-held drill. Be sure to clamp your work piece down. Bits tend to bind when cutting large holes (meaning the bind will throw the drill or the workpiece around). Be safe and go slow! MakerEd teachers live and breathe materials. You can’t have hands-on, constructivist education with out materials to hands-on construct. I have three rules when acquiring material. Rule 2: Buy in bulk, but only materials which can be used in different projects. For example, I buy tons of paper, tons of glues, tons of craft sticks and materials. I don’t invest in a variety of electronic components which will only be for one or two projects. I try to find something I can reuse next year, or repurpose into different projects. Rule 3: Kits for however many kids I have. Many MakerEd teachers advocate for a each student to have their own project of their own design, which means small amounts of a variety of materials. It also means specialized purchases, individual shipping, lots of vendors, lots of hassle. I’ve seen many a great project linger and student get discouraged or distracted because of a week of authorization, purchasing and shipping. Instead, I opt for “platform” projects which can launch a kid’s imagination. For these drums, I created twenty large boxes from donated/salvaged plywood. These boxes ended up as drums, cameras, boxes, woodburning projects, etc. Another example are the physics carriages we make to study motion. The kits become CO2 carts, derby racers, motion trackers, safety cart testers, etc. While my kids start off in the same place, they get to make their destination their own. Students can come up with their own variations on the drum theme. Many students added metal springs to make a snare drum, changed the hole size or experimented with drum shape and cover material. Lots of places to go, once the student catch the bug of basic construction. Lastly, bigger drums work MUCH better than smaller drums. I really enjoy the sound of a box about 2’ high, 12 – 18” wide and 12” deep. That should give you a rich boom when you play it. Happy playing! Are you interested in which standards this project illuminates? Check them out: Waves, Light and Energy, Information Processing. Cajons normally have snares, like snare drums. 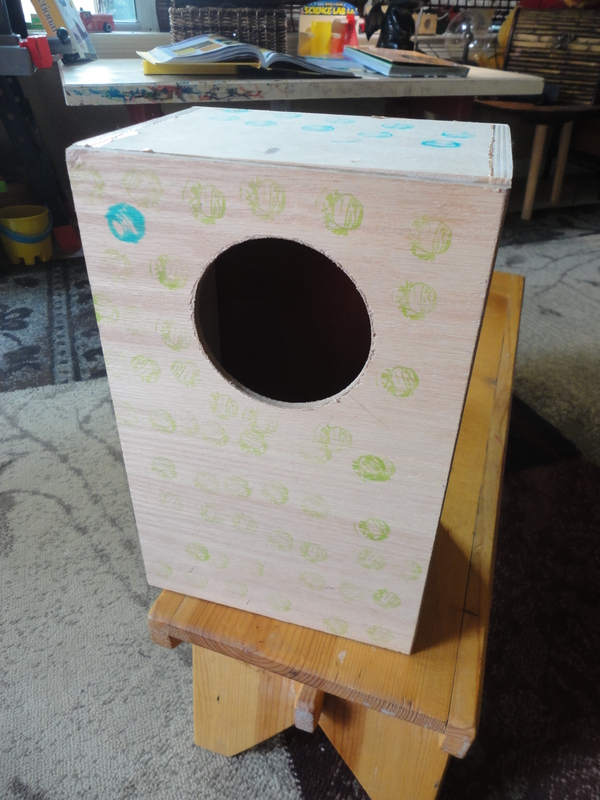 These can be found for little money and are typically cut in two before fitting, so you can actually fit two instruments (or double it in one to get more sound out of it, but it is nice to offset the position so one side of the cajon will have less snare sound and more timbre variety). Adding the snare would not increae much the complexity of the project, but it makes for a stunning difference, musically.